The Polish government has denied for years the existence of a secret CIA prison on its territory between 2001 and 2003 in the face of previous revelations. The publication of the US Senate report on CIA torture, however, has not only proven the existence of the “black site” but also the close collaboration between the Polish and American governments in barbaric and illegal practices. American president Barack Obama called Polish president Ewa Kopacz the night before the report’s release “in order to forewarn the US ally of the publication,” according to Polish sources. The following day, Aleksander Kwaśniewski, Poland’s president between 1995 and 2005, gave a joint press conference in the country’s parliament, the Sejm, with Leszek Miller, prime minister between 2001 and 2004. For the first time, the two social democrats from the Democratic Left Alliance (SLD) admitted that the CIA had operated a secret prison in Poland. 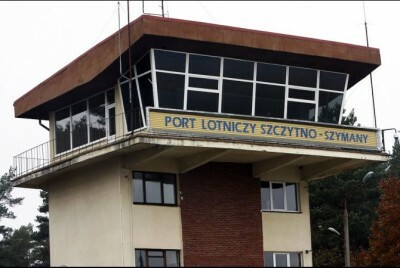 The approval of the clandestine facility, which reportedly operated between 2001 and 2003, was part of strengthening Poland’s ties to the US as part of the so-called war on terror, Kwaśniewski said. He claimed the government asked the US to treat prisoners in accordance with Polish law. A memorandum drafted for this purpose was “informally” recognised by the US representatives but not signed due to time, he claimed. The former president said the cooperation with the US accelerated after September 2001 as Poland responded under NATO rules to an attack on a fellow member nation. Prior to the long-delayed release of the 500-page summary of the US Senate report, some of its contents were revealed in the media. In January, after the 6,700-page full report had been ready for some time, the Washington Post reported the existence of a CIA prison in Poland. It seems likely that information from the Senate report was passed to the newspaper. Since 2008, there have been repeated reports that Sheikh Mohammed was tortured in a Polish CIA prison. The reports were based on witness statements from intelligence agents and Sheikh Mohammed himself. In that year, the Polish state prosecutor began investigations into the government of Leszek Miller for suspected abuse of office. The investigations are still ongoing. The Post detailed the methods used by the CIA torturers, including beatings, sleep deprivation and waterboarding or near-drowning. Mohammed was waterboarded 183 times and Nashiri subjected to a mock execution, the newspaper noted. The torture chamber at Stare Kielkuty, which was given the code-name “Quartz,” was seen as “one of the most important black sites established by the CIA after September 11, 2001,” the Post wrote. The CIA spent $300,000 alone on surveillance cameras attached to the building. The building was made available to the CIA by Polish intelligence—Agencja Wywiadu—which had previously used it. According to the Post, the agency received $15 million in cash in return, which was transferred through the US embassy in Warsaw. The report further states, “The political leadership (of Poland) gave their consent to host a CIA institution” (page 73), and “The agreement to create a CIA institution in Poland led to numerous sustained difficulties between Poland and the CIA.” Polish representatives “suggested a ‘memorandum of understanding’ that would confirm each of the roles and responsibilities between Poland and the CIA, which was ultimately not signed by the CIA” (page 74). Polish officials first opposed the transfer of Khalid Sheikh Mohammed but subsequently acquiesced after “the US ambassador intervened with the leadership [redacted] on behalf of the CIA,” the report said. “One month later, the CIA made [redacted] million dollars available, after which the [redacted] leadership indicated that they were flexible on the issue of the number of CIA detainees” (page 74). Finally, the report noted the “great disappointment” of Polish representatives with the CIA’s inability to keep secrets. The fact that then-US president George W. Bush made the programme public in September 2006 without any warning also caused irritation, according to the report. The CIA interpreted the events as “a serious setback in bilateral relations” (page 75). Despite the publicly available facts, Kwaśniewski defended the Polish-sponsored torture chambers, criticising only that it had been uncovered. “We have been betrayed,” said Kwaśniewski, referring to the publication of the report, which could yet have legal consequences for him and other members of the government. “In the long term, the Americans will lose the ability to be an alliance partner, because every country will ask themselves how much trust they can be given?,” he continued. Kwaśniewski justified his government’s violation of the Polish constitution and international law by suggesting that greater collaboration with the US was necessary because the NATO-Russia conflict over Ukraine was leading to a Russian aggression against Poland.